The Huawei Ascend G6 leaked in press renders a couple of days back and now Huawei has made the mid-range smartphone official at MWC 2014. The Huawei Ascend G6 features a similar design to the Ascend P6 and although the device is not as slim as the Ascend P6 but it is still quite thin at 7.85 mm (for the 4G model) and 7.5 mm (in the case of the 3G only model). It is also pretty light weighing 112 grams. It comes with a 4.5-inch qHD (540×960) display of unknown type and is powered by a 1.2 GHz Quad-Core processor again of the unknown type. There’s both a 4G and 3G only Ascend G6 model so we suspect, both of them will feature different chipsets. There’s no mention of the RAM or the internal storage or the Android version in the press release which is a bit strange. On the camera front, there’s an 8MP f/2.0 camera with LED flash and a 5MP front facing camera. A 2000 mAh battery is equipped in the device. 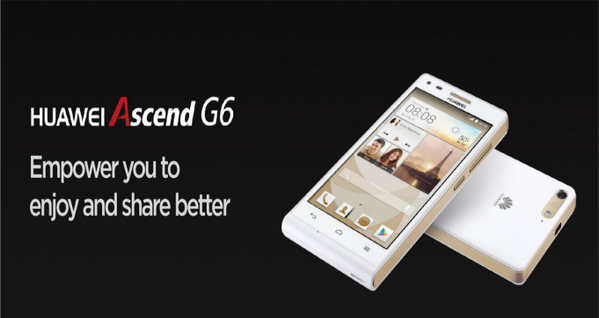 The 3G only Ascend G6 will hit stores in Q1 2014 while the 4G model will make it in April. 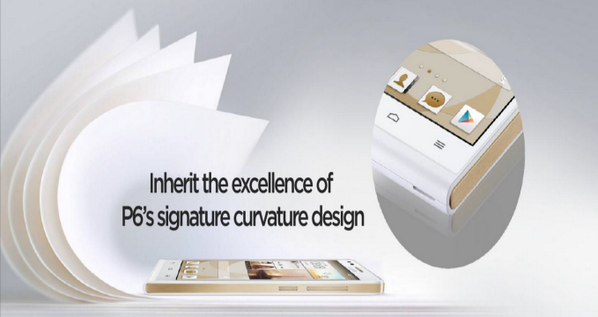 The device will be available in black, white, pink, gold or blue. The price is said to be around $342.